SOL PETROLEUM JAMAICA LIMITED has been unveiled as the most recent addition to The Sol Group, and the newly formed company has been credited with enhancing Jamaica’s image as a ready-for-business destination. 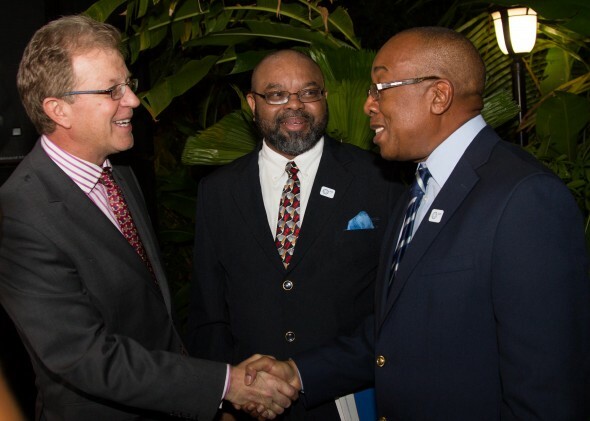 In June this year Sol was appointed as the new macro distributor for Shell lubricants in Jamaica, deepening the already well-established commercial relationship between Sol and Shell. 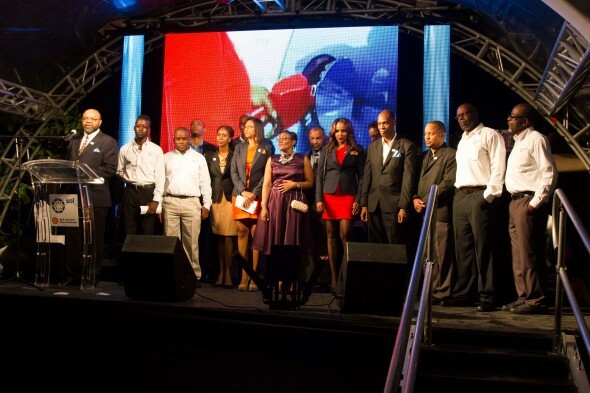 To formally mark the establishment of the new Sol business, the company was toasted at a gala ceremony last week at the Terra Nova Hotel which featured entertainment including Jamaica’s up and coming vocal star, Tessanne Chin, who has been creating waves internationally since debuting on NBC’s hit series “The Voice”. Featured speaker, The Honorable Dr. Morais Guy, M.P., Jamaica’s Minister without portfolio in the Ministry of Transport, Works & Housing, addressed an audience that included fellow cabinet ministers, officials of the Sol Group, and representatives of Shell, a global leader in the petroleum industry and strategic partner of Sol, the Caribbean’s leading supplier of petroleum products. Andrew Rollins, Director and Chief Financial Officer of The Sol Group, said the company was honoured to welcome Jamaica to its family, which now officially spanned 19 territories across the region. 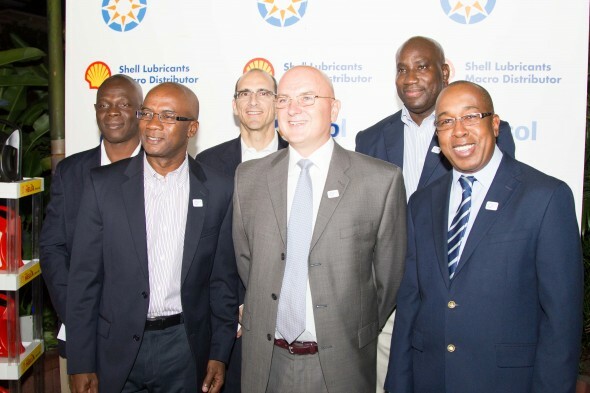 “To ensure we deliver on the Sol promise to customers and to make certain we successfully manage the Shell lubricants portfolio, we have joined together some of the best and brightest local professionals to lead the Sol charge in Jamaica. We are very confident that this team will continue to build on the strong legacy which Shell Lubricants has already established here and we are already very pleased with the local team’s efforts so far,” said Rollins. 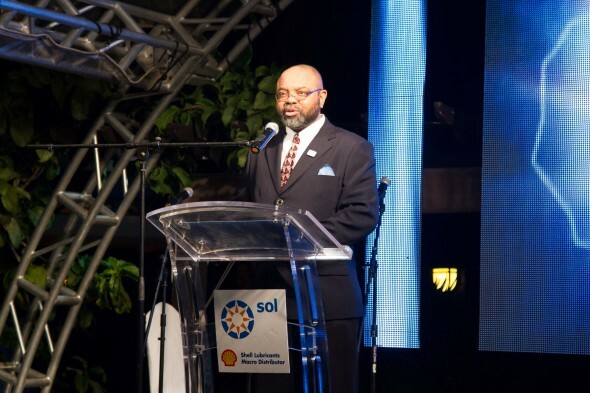 Robert Jackson, General Manager for SOL PETROLEUM JAMAICA LIMITED said Sol’s appointment as the official Macro Distributor for Shell Lubricants reaffirmed the fact that Sol was a preferred partner of Shell. “Through this partnership, Sol provides a full range of Shell lubricants, including synthetic high-performance products from our offices located at Lot 5 Newport East in Kingston. Sol also has ready access to Shell’s resources and specialists in the Lubricants field,” Jackson stated. Sol is one of the largest privately held petroleum distribution companies operating in the Caribbean basin. In its short eight year existence, Sol has grown into a dynamic, customer-focused business operating in 19 markets and across all segments of the petroleum distribution business. This new business in Jamaica is the latest chapter in an expansion process dating back to 2005 when Sol first acquired Shell’s business in the Eastern Caribbean, Guyana, Suriname and Belize. This recent appointment further improves Sol’s position as the largest supplier of Shell lubricants in the Caribbean region.